By Ron Pereira: Lean Thinker & Co-Founder of Gemba Academy. Discovered by Player FM and our community — copyright is owned by the publisher, not Player FM, and audio streamed directly from their servers. This week’s guest is Billy Taylor. Billy is a Senior Operations Executive at Goodyear and is known worldwide for his work in operational excellence. Also famous for his storytelling abilities, Billy shared some truly powerful anecdotes with us. An MP3 version of this episode is available for download here. Should standards be treated liked monuments? Why or why not? 173 episodes available. A new episode about every 6 days averaging 36 mins duration . 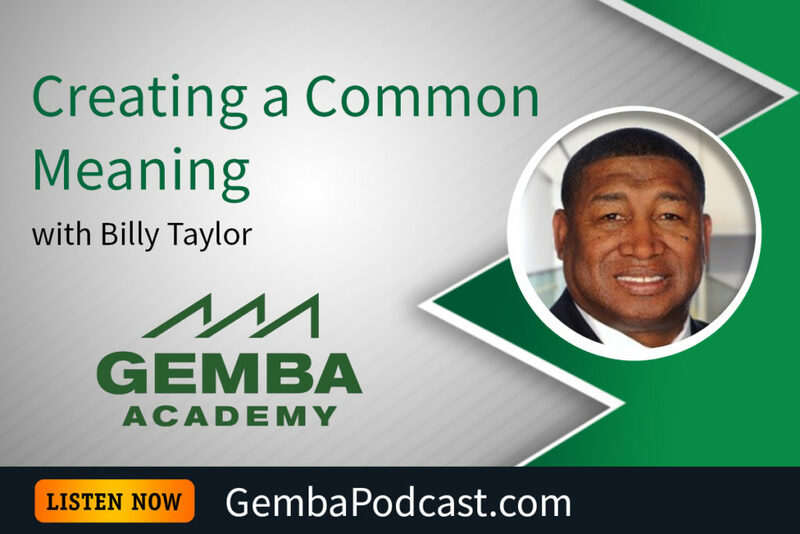 Start listening to Gemba Academy Podcast: Lean Manufacturing | Lean Office | Six Sigma | Toyota Kata | Productivity | Leadership on your phone right now with Player FM's free mobile app, the best podcasting experience on both iPhone and Android. Your subcriptions will sync with your account on this website too. Podcast smart and easy with the app that refuses to compromise.